Sanctions-hit Iran has announced it will take payment from trading partners in gold instead of dollars. 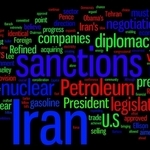 Iranian financial institutions have been hit by sanctions imposed by the United States and the European Union in an effort to force Tehran to halt its nuclear program, which Western powers suspect is aimed at making weapons. The sanctions have made it harder for Iran to be paid for its main export, oil, and to purchase imports. Iranian news agencies on February 29 quoted Central Bank Governor Mahmud Bahmani as saying that "each country can pay using its own currency" and that "if a country should so choose, it can pay in gold." Already, Iran has started to receive Indian rupees and Chinese yuan instead of dollars for oil sales to those countries.